If your faith is the center of your family, this is the perfect piece for you. Each name is hand stamped and our exclusive cross stamp is placed in the center. 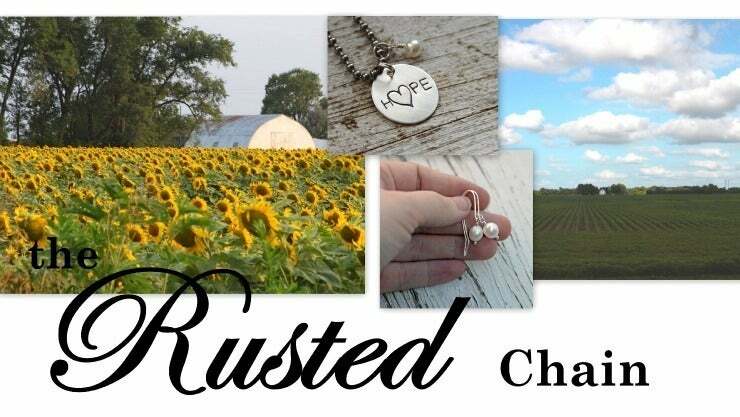 This is a large 1.25" sterling silver disc, hammered around the edges for a rustic casual feel. The disc can hold up to 40 characters, including spaces. Please leave the desired names in the notes at the bottom of the page. If you accidentally miss the notes box, just email them to us at therustedchain AT yahoo.com.